Minimum quantity to order is 5 boxes. NEW DONATION/SECURITY BOX. Item #210C with Pad Lock. 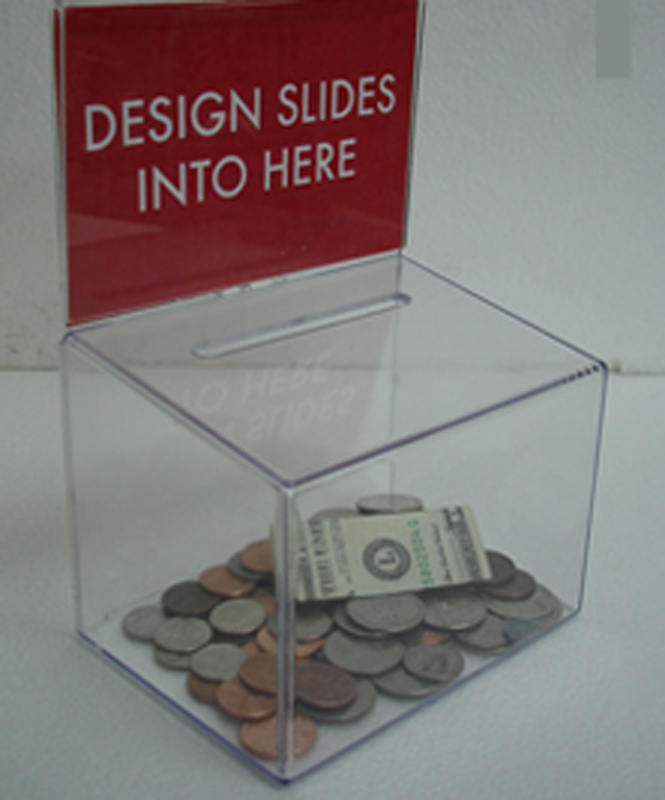 This box is perfect for collecting donations. The size has been specifically constructed to be placed very close to a cash register. The area is very valuable so your box has to be small yet visible. Has an innovative securing clasp on back to secure header to box. You can also use a plastic tie to lock the box. Similar to our box #211 - difference is a shorter header. HEAVY-DUTY CONSTRUCTION. 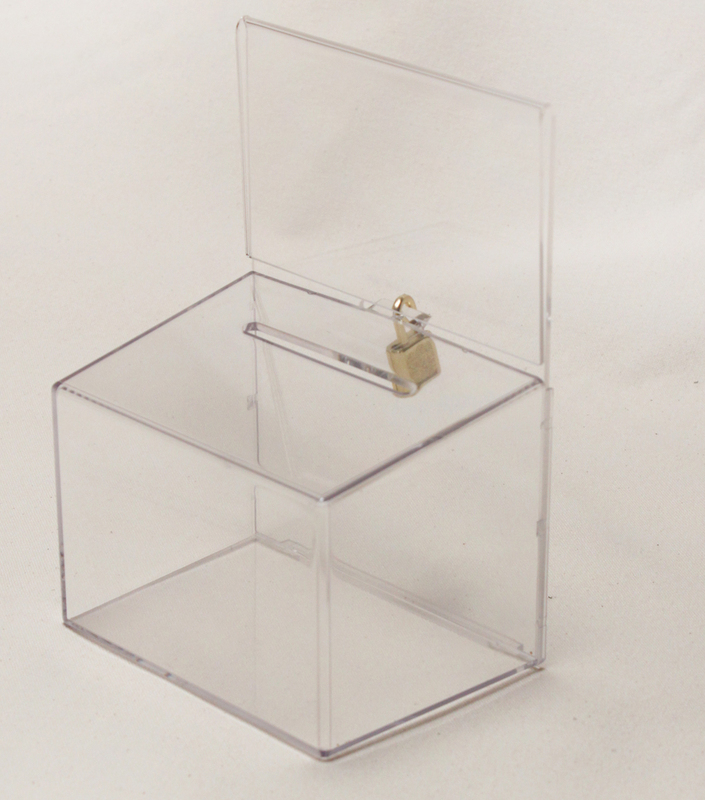 This donation box is made of high-quality plastic that make it more more durable against breakage. You can set this container outside a church, animal shelter, or retail store and rest assured the money or paper will stay safe and dry inside. FLEXIBLE CONTAINER. 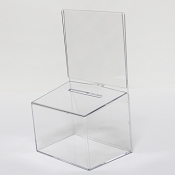 This acrylic storage container can also be used as a suggestion box. You can put it next the cash register or exit. 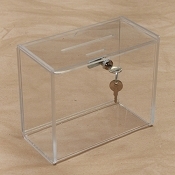 It can even be used as a ballot box for raffle tickets. SECURE CONTAINER. 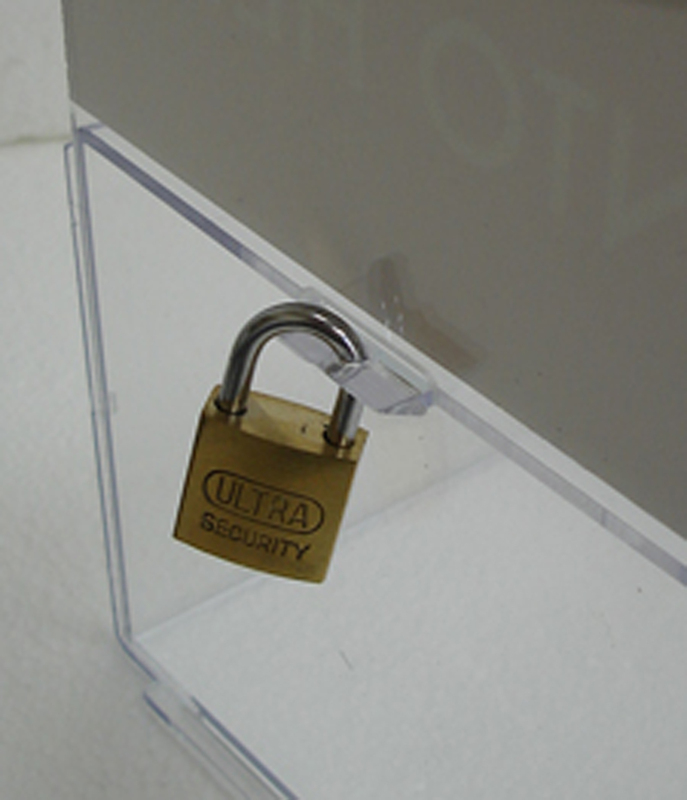 Each suggestion box comes with a lock and keys you can use to secure its contents. Even if you put it outdoors, it won’t be easily opened by other people. 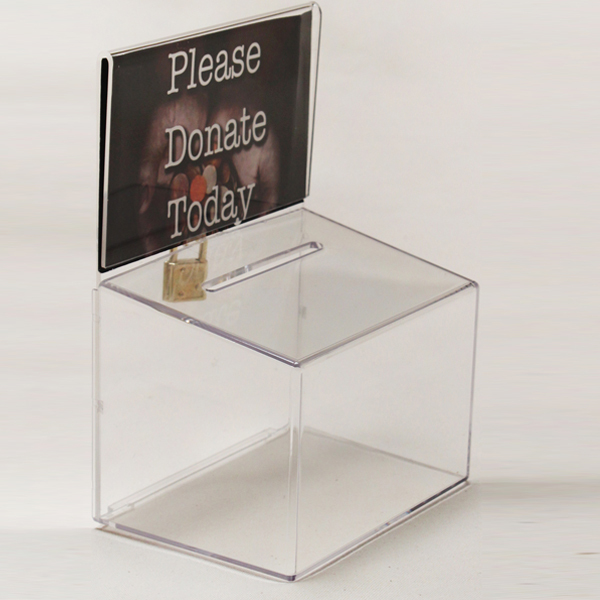 LeadBox.com makes our donation boxes in the U.S.A.
We have been using these as donation boxes at various local pet stores. It has been working well. Its small but does what it is suppose to do. I like how the plastic backing locks into box.